Ever since my first trip out of the country (come to think of it, it was my first international trip period) I’ve always been in love with Costa Rica. And what’s not to love? Between the endless miles of deserted beaches, spectacular wildlife & delicious mixture of caribbean style seafood, no one in their right mind would ever want to leave. And a vacation to Costa Rica would stop along the coastline either. Inland you can find a plethora of activities such as hiking volcanoes, exploring outrageous tropical rainforests and zip-lining. You could easily spend a month traveling around the country and still not see everything. You could easily spend a month traveling around the country and still not see everything. So, without further ado, take a look at my Top 5 Reasons that you must visit Costa Rica. 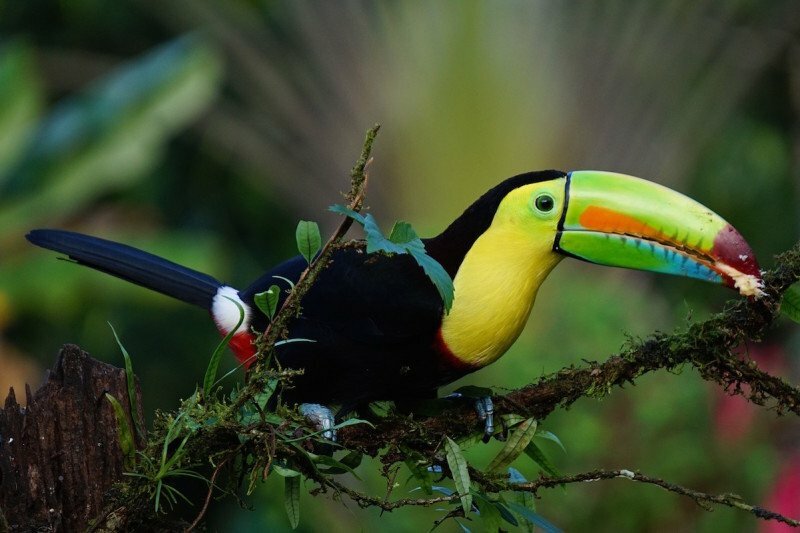 Costa Rica has some of the most authentic & diverse rainforests in the world. Home to over 500,000 species of animals, nearly 300,000 of them alone are insects and the rest are divided between species of reptiles, amphibians, and mammals. I took 2 separate tours during my travels through Costa Rica; one in Manzanillo with Omar at Manzanillo Tours & the other birdwatching with a local guide near Volcan Arenal. If I can say one thing, it’s that both of them were spectacular and I saw many species ranging from pit vipers, howler monkey, sloths, toucans and a wide variety of other birds, insects, and reptiles! Making friends while traveling isn’t that difficult a thing to do…especially if you’ve got an open mind. But there’s something about the visiting Costa Rica that makes the people there particularly charming. It may not be the fact that they have no army or that the population seems to be evenly distributed between Rastas, Costa Ricans & hippies. But from what I could tell, everyone seemed extremely laid back and uber friendly. That, alone, is reason enough to visit. But once you add a stunningly beautiful beach to the mixture…well, what more is there to ask for?! 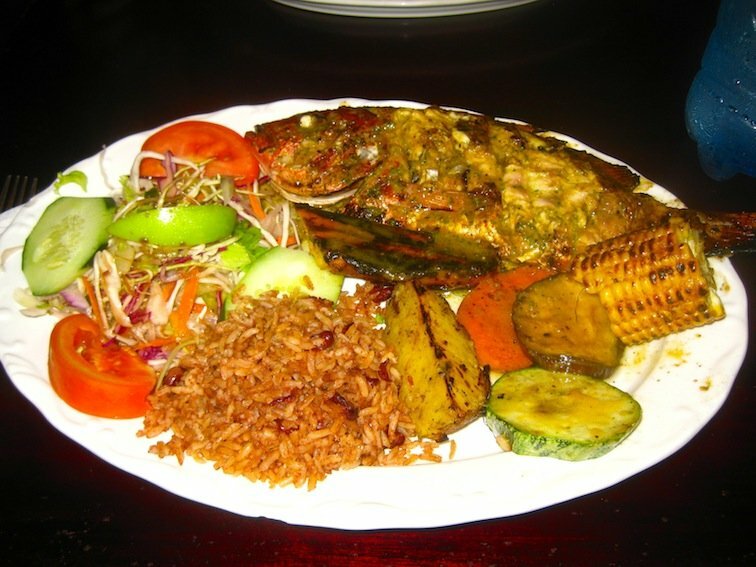 Costa Rica has Amazing Seafood! If there was one thing I missed most about Costa Rica, it was the food. And not just any food, but more specifically the amazing fresh fruit smoothies and the seafood! While staying in on the peninsula of Montezuma, I woke every morning to walk along the beach sipping one of the fresh fruit smoothies I picked up from a stand in town. The mixture of pineapple, mango, melon, berries & whatever else they put in there with sugar and water made it a truly refreshing meal. And as far as the seafood is concerned, the classic fish-n-chips at just about any of the restaurants will give Costa Rica the justice it deserves. One thing that I loved about traveling to Costa Rica was the ease of access to other Central American & Caribbean countries. 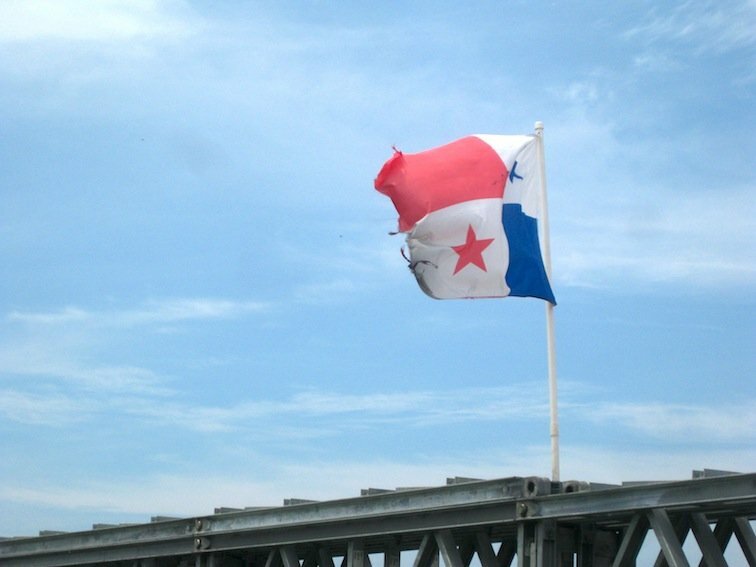 Crossing the border into Panama was affordable and easy. Not only this but from San Jose flights to the Caribbean was quite affordable, short and a stone’s throw away…okay, not literally but you get the point. 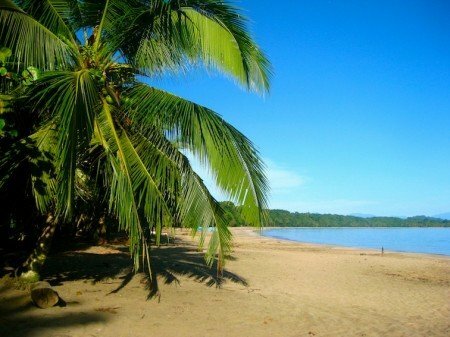 Even if you only have 1 to 2 weeks to spare, I highly recommend making it a point to visit Costa Rica as it’s definitely the ideal country to visit especially if you’ve never been international before! Have you ever taken a vacation in Costa Rica? I really think I do not need to read anything more about Costa Rica, I so want to visit! Hopefully you’ll be able to make it during your upcoming trips to Central America! It is amazing…you should totally visit! Costa Rica is such an intriguing part of Central America that I would love to experience. After recently following several blogs specifically focused on highlighting the amazing sights and landscapes in Costa Rica, I have been even more convinced that I need to make a trip here. Thanks for sharing more ammunition to boost my opinion that Costa Rica is a must-see destination, hopefully sooner rather than later. I don’t need anymore convincing. Rainforest, beaches, zipline, seafood and Caribbean? I’m coming! Costa Rica is high up on my list of places to visit. Rainforests and seafood are automatic winners for me but alongside that I really like the idea of zip-lining across the water! Great list! Would love to do an Amazon rainforest tour at least once! 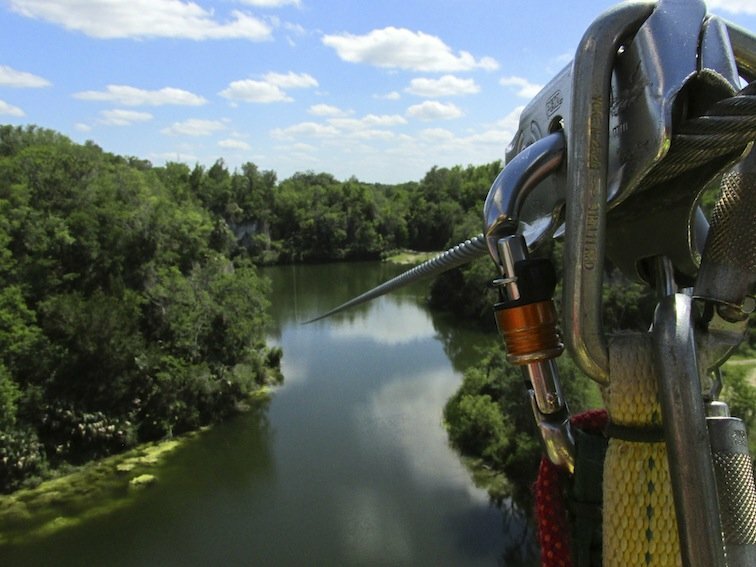 And I’ve always heard that zip-lining is a wonderful experience! It is such a great experience Sanjana. For how much you’ve been to Costa Rica, I’m surprised you’ve never been! Loved this post, but loved the location even more. I have not yet been but your writing has given me such a “feel there” appreciation for Costa Rica. It’s on my list like most of the world is but its always great to have some actual personal thoughts, tips and images of a place, as opposed to “brochure images”. 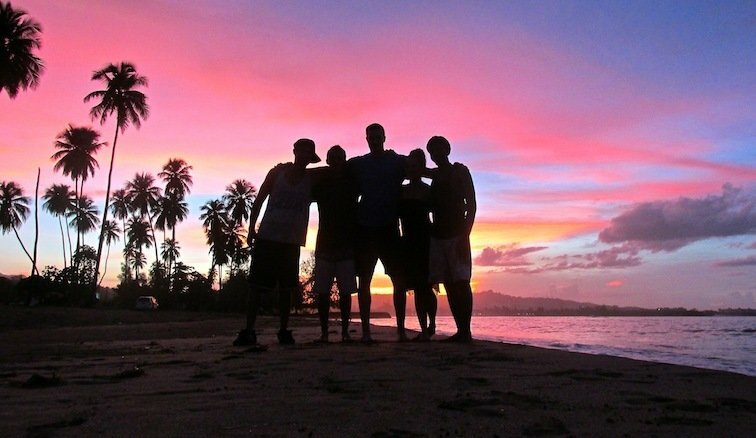 I love the idea of zip lining with a group of friends I have made on the beach. Sounds like my kind of place. Thanks Ceece! Costa Rica is such a beautiful place – I hope you make it there soon!